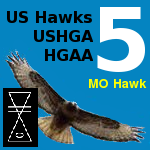 This forum is for contributing to a US Hawks Hang Gliding Training Manual. Posts in this forum may be moved around as the manual takes shape over time. Please feel free to comment on the organization (or reorganization) of the posts as needed. This topic is for people who want to contribute to the US Hawks Hang Gliding Training Manual. Please post your general comments to this topic, and please create new topics for items that might require lots of posts and/or discussions. Here's the fundamental idea behind this project. I think there's enough good YouTube and other footage on line to augment a very good training manual. The manual itself would consist of the usual text, but it would have videos, drawings, and animations which build on the text. So we might have a video on how to assemble a hang glider. We might have videos showing how to do a proper hang check and hook in check. We might have videos on people launching unhooked. We might have videos on launching and landing and cross country and competition. In other words, we'd have all the normal stuff in any manual but it would mostly be illustrated with stuff that's already out there on the web. We might have to shoot a few custom videos if we can't find what we need in a particular place, and we might have to draft a few new diagrams or animations. But I'll bet we could find most of what we'd need for a really good training manual already out there on the web. Also, the writing might be much easier if it's built around videos. If a picture is worth a thousand words, what's a video worth? I think we should start by building an outline of the manual and starting to gather links to the candidate videos for each section. Then we can start assigning particular sections to individual writers (or teams of writers). Of course, the first step will be assembling our contributors (video finders and writers). So if anyone is interested in participating in this project, please send me a PM or contact me directly. You can also post videos to other forums without being a member of this team, but I want to make sure that the people working in this forum are focussed on, and dedicated to building a manual and not just starting arguments for argument's sake. FYI: Bill Cummings put up a great post on foot launching with a wire crew. I've created a new topic called "Foot Launching" and moved Bill's post there so it can get more visibility. Rick has been contributing some great articles. Maybe it's worth starting to talk about how to start putting this all together. In my opinion, Dennis Pagen's original series of books remain the best source of information. The guy was a genius until he drank the kool-aid. Topic wikis or the like? Keep advancing a topic in one place. Our forum posts break. Four-hour edit has helped. But four hours is not 10 years. Person cost of managing is serious consideration. Digital Pagen paragraphs are not available online; and editing such online is not available. HangGliding.org has a wiki. I do not know the cost to have and manage a wiki system of articles. Wikipedia does not allow "original research" so abusing that tool is not available. But some careful appropriate use of the Wikipedia may be done. Specific articles that are noteworthy can be constructed; trouble is: wipe out may occur at any instant if a gang of editors want to get something to disappear; the tool is consensus driven. Still, whatever we do, careful collection of wiki articles at Wikipedia may form a linked reference that could help. I'm thinking that the final product will be a regular set of web pages unconstrained by the limitations of forums and even wikis. That gives us the flexibility to build it and present it any way we want. But it does make it harder for us to edit it directly via "groupware". So I was thinking that each section or subsection could be developed in rough draft in the forum and then moved into the "final product" pages as we go. I haven't developed any templates for the "final product" pages yet because I haven't really seen any complete sections or subsections that look ready to go. But we could do that in parallel. So let me ask this ... can anyone suggest any example sets of web pages that they think would make a good layout for our training manual? The examples don't have to be related to hang gliding in any way ... just good examples of what might be a good way to present our manual. P.S. I believe I can install a real Wikimedia Wiki if we think that's important to this project. It's one of the things that I've been wanting to do but just haven't completed yet. Let me know what you think of that idea. I had the opportunity to come to a talk by Tim Swait, the new owner of Avian hang gliders, currently the only hang glider manufacturer in the UK.